Uber, the popular modern alternative to regulated taxicab services, has been the hot trend for people in need of a chauffeur for the last few years. Many speculate that Uber is poised to overthrow taxis as the ride-sharing service of choice across America, but this success hasn’t come without pitfalls, mostly in the form of lawsuits against the company and its drivers for negligence and alleged acts of driver violence. 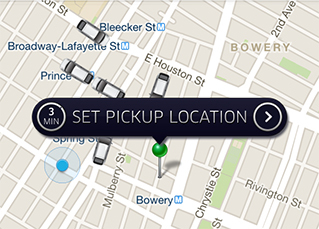 Now, Uber faces a new class action suit – not from its customers, but from its drivers. Uber is no stranger to lawsuits. In the mere three years that Uber has been a peer-to-peer taxi service, it’s been in dozens of cases involving alleged assaults, sexual harassment, and kidnappings by drivers. Uber and Lyft together have been involved in the deaths of at least 16 people. The difference in the latest lawsuit is that Uber customers aren’t the plaintiffs. Instead, Uber’s own drivers are filing a class action suit on the basis that the company classifies its more than 300,000 drivers in California alone as independent contractors instead of employees. This misclassification has allowed Uber to avoid financial obligations, including paying unemployment insurance, Social Security, workers’ compensation, and other important benefits. The company also doesn’t have to reimburse employees for work-related costs such as gas, vehicle maintenance, highway tolls, and health insurance. Had Uber correctly classified its workers as employees, the law would require the company to provide these payments and benefits. Drivers also allege that Uber doesn’t pay employees living wages in exchange for work they perform. Many claim that Uber has thus far gotten away with all this by classifying itself as a technology company rather than a transportation company. This loophole enables it to operate under the rules of a company that simply connects people with independent contractors who provide ride services rather than a company that provides this service, itself. In addition to these allegations, Uber faces claims that the company has been dishonest with customers about how it pays drivers. Uber advertises that customers do not have to tip drivers, since the company includes driver gratuity in the fare it charges. However, drivers claim they do not actually receive the gratuity included for them, furthering the evidence that Uber has been unfair to drivers. In a recent motion for a class action lawsuit filed in San Francisco, the judge held that Uber would not be a viable business without drivers. Uber’s revenue does not come from its software distribution, but rather from the rides its drivers provide – thus making it a business with employees, not independent contractors. Uber has significant funds available for legal representation, making actions against it difficult to win. However, the company may have finally run out its luck. Uber has agreed to pay an $84 million settlement to drivers in California and Massachusetts for its employee misclassification “mistake.” However, it is unknown if the company is stipulating to keep drivers as contractors for the settlement. Reporters claim that Uber may have the upper hand in negotiations, claiming that the same judge who ruled against them in San Francisco violated Uber’s First Amendment and Federal Arbitration Act rights. This is an ongoing class action lawsuit against Uber, changing day by day as more details become available to the public. If you’re an Uber driver in California whom Uber has misclassified as an independent contractor, seek legal help from local workers’ compensation attorneys. You may have a case against Uber you can add to the ongoing class action lawsuit, and be eligible to receive compensation for lost wages and benefits. Por años, muchos clientes me han dicho que han sido amenazados con cárcel si no pagaban sus deudas. Todas estas personas eran inmigrantes Latinos. En muchos casos, estas personas creyeron que podrían ser enviados a cárcel por no pagar sus deudas. Como resultado, muchos de ellos pidieron dinero prestado de amigos y familiares y vendieron vehículos y objetos personales para pagar dichas deudas. USTED NO PUEDE SER ENVIADO A CARCEL POR DEBER DINERO O POR NO PAGAR SUS DEUDAS EN ESTE PAIS. Entonces, ¿porqué los acreedores mienten a los inmigrantes Latinos y los amenazan con cárcel cuando saben que eso no es verdad? Porque saben que muchos inmigrantes Latinos no conocen la ley y no buscarán consejo legal para averiguar si ello es verdad. Es posible que algunos de estos inmigrantes vengan de países donde la gente puede ser encarcelada por no pagar sus deudas. Pero la razón principal por qué los acreedores hacen falsas amenazas de cárcel es que les da resultado. Cada año los acreedores recuperan millones de dólares de inmigrantes Latinos mintiendo y usando falsas amenazas de cárcel. Los acreedores sí pueden demandar a los deudores en Cortes Civiles, y si ganan, pueden intentar hacer cumplir el Fallo para cobrar el dinero que se les debe. Los acreedores pueden usar el fallo para sacar dinero de alguna cuenta bancaria del deudor o de su salario para pagar la deuda. Pero este procedimiento legal no es muy efectivo y es muy costoso para los acreedores. Y, aún si los acreedores gastan dinero en abogados y cortes y finalmente obtienen un fallo judicial declarando que se debe el dinero, todavía tienen que intentar cobrarlo. Si los deudores no tienen dinero en el banco y no están comprando casa, es muy difícil que alguna vez se recupere el dinero con base en el fallo. Y, si el fallo es por una gran cantidad de dinero, los deudores pueden impedir que se tome dinero de sus salarios cambiando de trabajo. Puede ser muy difícil que los acreedores encuentren cual es el nuevo empleo del deudor. Y, los deudores también pueden declararse en Bancarrota. Los hospitales han sido conocidos por ser especialmente agresivos y engañosos al tratar de obtener el pago de sus facturas. Un cliente reportó que representantes de un hospital le dijeron que no se le permitiría salir del hospital hasta que él y sus familiares firmaran un convenio de pagar la cuenta. Antes que nada, detener a alguien contra su voluntad, aún por un corto tiempo, restringiéndolo de su libertad es ilícito. El deudor debió haber intentado salir inmediatamente. Si se le impedía salir, él entonces podría demandar al hospital y sus representantes y también incluir cargos criminales contra el representante que rehusó dejarlo salir. En muchos casos, los representantes de los hospitales realmente no intentarán impedir que el paciente deudor salga. Saben que es contra la ley y no se expondrán ellos mismos o al hospital a las consecuencias legales de realmente detener a alguien. Pero también saben que muchos deudores no conocen ésto y que firmarán los convenios, luego harán los pagos, sin saber que no podían ser detenidos ilegalmente en el hospital. There’s no longer any question about the gender bias against women in California’s workers’ compensation system. The system routinely discriminates against female workers, attributing work-related injuries to the pre-existing condition of “being a woman.” Plaintiffs claim, for example, that the workers’ compensation office dismissed claims of carpal tunnel syndrome due to work-related repetitive motion as the result of breastfeeding or menopause. Male workers suffering carpal tunnel, on the other hand, received benefits for their injuries without question. There is currently a class-action lawsuit against the California workers’ compensation system. A group of individual female workers, alongside the Service Employees International Union (SEIU) California State Council, are advocating for female workers’ rights. The plaintiffs state that the workers’ compensation system decreased disability benefits for women on the basis of “risk factors” associated with their gender or capacity to reproduce. The lawsuit holds that the state has unfairly deprived women of rightful compensation, furthering the ongoing gender wage gap in America. The goal of the lawsuit is to put an end to discriminatory practices in California’s workplace and grant the wronged women compensation for their work-related injuries. The lawsuit brings up unconstitutional reductions of disability compensation for women that occur as the result of nothing other than stereotypes against women and the female body. Claims in the current lawsuit include women who experienced unfair compensation deprivations based on presumptions about breast cancer and assumptions based on the outdated belief that a woman’s breasts are only valuable in that they nurse children. To this end, the plaintiffs assert that workers’ compensation gives women past childbearing age $0 for breast removal, while awarding men $25,000 for prostate removal. This significant disparity is proof of California’s broken and discriminatory system. One woman whose medical evaluator proved her breast cancer was work-related received zero dollars in permanent disability from the loss of her breast. California uses an American Medical Association guide to make these decisions. The victim suffered scarring, numbness, and emotional distress after the removal of her breast, yet did not receive any money for disability. Workers’ compensation awards male counterparts, on the other hand, disability benefits for work-related prostate removal. California’s workers’ comp system states that prostate removal due to work-related cancer leaves a man 16-20% disabled. Another plaintiff suffered reduced disability compensation because her qualified medical evaluation (QME) attributed 20% of her work-related carpal tunnel syndrome to her age and gender, stating that carpal tunnel is “almost ubiquitous” in the female population in her age bracket. Had this plaintiff been a man, she would not have suffered the 20% loss. In a similar case, a woman was pregnant when she made an appointment with her QME for work-related carpal tunnel. The QME reported her syndrome was the result of her pregnancy and breastfeeding, even though the plaintiff explained her symptoms appeared long before she was ever pregnant. In workers’ compensation cases, gender stereotypes can cause serious damage. Women may endure financial hardship and lifelong physical, mental, and emotional damages without just compensation – all because of being born female. Women deserve awards for work-related injuries just like men do, and will continue to fight until they see a real system reform. The women involved in the class action are calling for a system-wide change, compensation for women the system has wronged in the past, and justice for future women in California’s workforce. California’s workers’ compensation laws are long overdue for a reevaluation, and significant system changes are needed to put an end to gender discrimination. The current lawsuit may make important strides toward achieving a bias-free workers’ compensation system, but until then, California’s female workers must fight to receive equal benefits and rewards as their male counterparts. A Federal jury in New York awarded Moises Méndez 3 million dollars in his case for unlawful retaliation by his employer, Westin Hotels. Mr. Méndez had worked at the hotel as a baker for 7 years. He complained to his supervisors verbally, and in writing, of being harassed and discriminated against by his coworkers. Mr. Méndez accused his coworkers of insulting and humiliating him and making fun of him because he is a Latino and of punching him in the face. Mr. Méndez’ retaliation claim was based on the fact that his employer secretly installed a camera in his work area just 3 weeks after he complained of the harassment and discrimination. His employer testified that the camera was installed to protect him, and to determine the identity of the alleged harassers. Mr. Méndez’ attorney effectively pointed out that all of the film was directed only on Mr. Méndez working in his area and that he already knew and reported the identity of the harassers. Mr. Méndez’ lawsuit also contained a claim of harassment because his work place was an unlawful “hostile environment”. Mr. Méndez’ employer never made any offer to settle the case. A total of 22 witnesses testified in a trial that lasted 3 weeks. The Federal jury awarded Mr. Méndez 1 million dollars for pain and suffering and 2 million dollars in punitive damages to punish his employer for unlawfully retaliating against him after he exercised his right to complain of harassment and discrimination. THIS CASE WAS DECIDED UNDER FEDERAL LAW WHICH APPLIES IN EVERY STATE. CALIFORNIA, LIKE EVERY OTHER STATE, HAS SIMILAR STATE LAWS TO PROTECT EMPLOYEES FROM EMPLOYER ABUSE. Unlawful employer retaliation includes any adverse action taken against an employee for filing a complaint or for supporting another employee’s complaint of a violation of rights. Like Mr. Méndez’ lawsuit, the most common claim is that the employee was first the victim of harassment and discrimination and that the employer then changed his employment situation to punish him for complaining. The illegal retaliation often includes a change in job duties or location, a change of title or position, a reduction in salary or even permanent dismissal. Unlawful employer retaliation is considered a serious violation of an employee’s civil rights. In fact an employee is entitled to compensation for retaliation even if the actions he originally complained of were not illegal. The law does not prohibit simple teasing or other common insults that are not serious. The actions must be serious enough to change the conditions of the work environment. Nonetheless, retaliation for complaining about such conduct is still illegal.